How many times have I sat here in the small hours of the morning, thinking the whole world’s asleep, only to have the quiet interrupted by the low rumbling of a fishing boat’s engine? 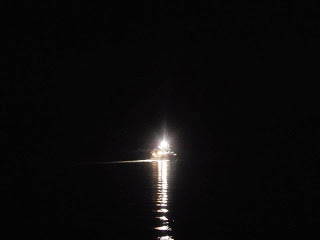 Their running lights cut through the darkness, casting a path of light on the water’s surface. It seems as though you could catch the path from shore and run across the harbor to jump aboard the boat. Then you could tell the Captain, “I’m up too,” and let the crew know how much you enjoy the interruption of your quiet time. What a beautiful sight they are from shore. Pretty soon they’re joined by another boat, followed by another, and they start to form a parade of lights as they head out to sea. They’re headed to work, unknowing of the spectacular show they’ve given me. Oh to have a better camera to capture such a sight, but no photo or painting could ever grasp my sated senses. We have beautiful sunrises and sunsets in all different corners of Gloucester. Folks oooooh & aaaaah when they’re shown a gorgeous rainbow, perhaps even a double rainbow, that comes from that special light after a rain. A light that seems unique to Cape Ann. 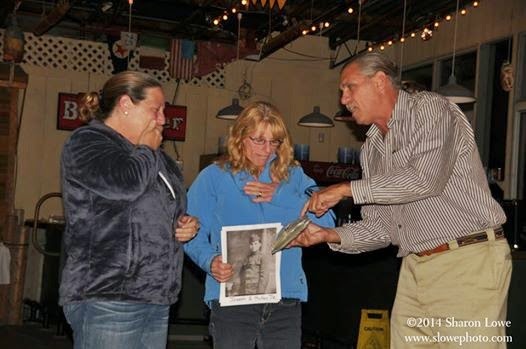 (left to right) Patty Reynolds Philbrick and Patti Ameral, representing Light Up Mattos Field, as they received $1,000 cash from Awesome Gloucester, represented by Trustee Jim Tarantino, September, 2014. What is Awesome Gloucester about? “I guess I have a high tolerance for ambiguity,” Sal Zerilli offers, by way of explaining why he thinks The Awesome Foundation is just what Gloucester needs these days. But Awesome Gloucester is not just a feel-good exercise in positive thinking. It’s a concrete method for building strong alliances within and across a divided place. (left to right) Awesome Gloucester Trustees Rona Tyndall, Rich Francis, Rick Doucette, Sal Zerilli. 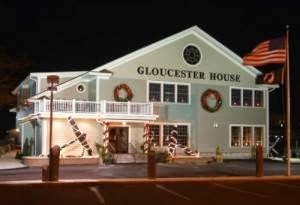 Awesome Gloucester invites members of the community to attend Pitch Night, at 7 pm on the third Monday of each month, at the Gloucester House, Rogers Street, which supports Awesome Gloucester by donating its meeting space. 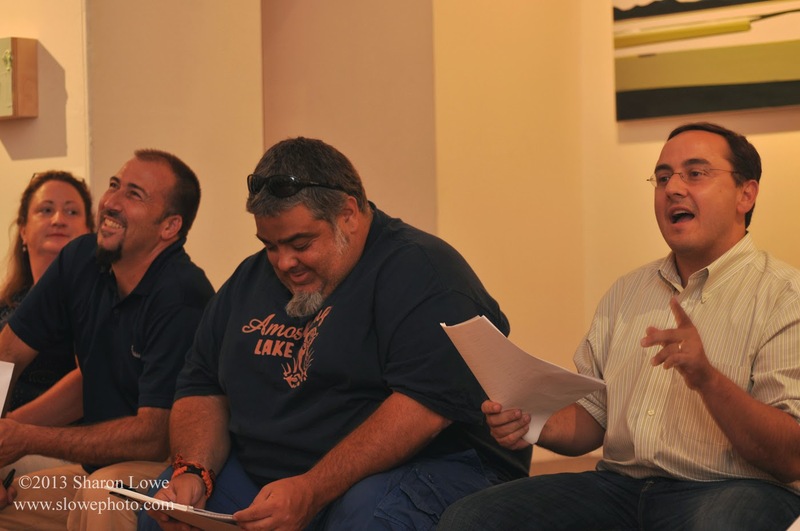 Awesome Gloucester meets at La Trattoria, Middle Street, during the winter months. Zerilli points out that “Awesome” turns on its head a traditional model of the philanthropic foundation as a board of remote wealthy donors granting money to anonymous needy people. As a group, Awesome Gloucester’s trustees, for example, come from all walks of life (small business owners, real estate agents, teachers, retail employees, government workers, bank employees, artists, and social and health care workers. They represent varying opinions about the changes coming over Gloucester’s fishing industry and harbor, and sometimes divergent views on the future of Gloucester . Diversity among members of the board as well as among applicants is the goal and byword for Awesome Gloucester, and it somehow works. 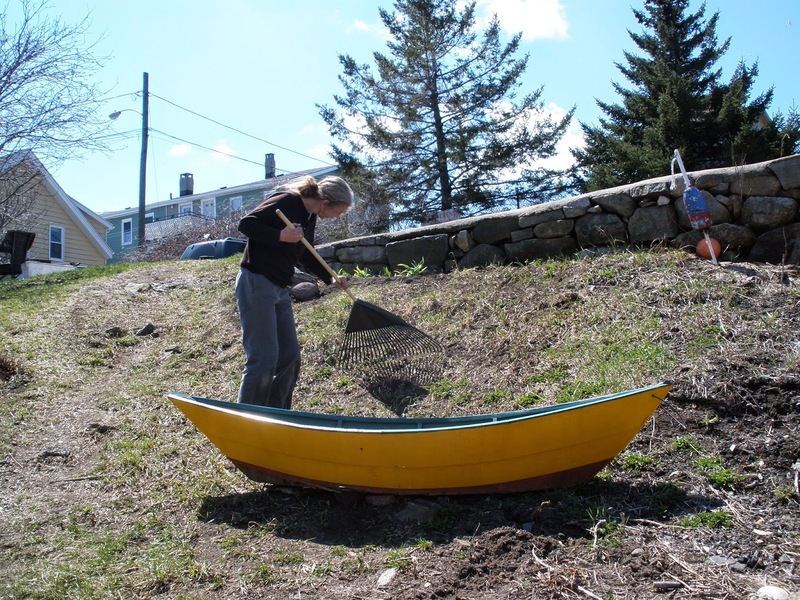 Of the 12 grants that have been awarded in Awesome Gloucester’s first year, all but two have been to projects that fit the third goal- community togetherness and appreciation. Zerilli is hopeful that more of Awesome Gloucester’s grants in the coming year will support its maritime economy and maritime heritage goals. To that end, AG will launch an initiative for December of this year. For one month, AG will consider applications only from a targeted community – Gloucester High School. AG volunteers and high school staff will work with students on their ideas for initiatives, and on writing applications and pitching their projects. “We’re posing an Awesome Challenge to GHS students in December. Our model for the challenge comes from the world of design and innovation, and we’re optimistic about the impact our experiment will have,” Zerilli says. …the sky, a besmudged cauldron, leaking sudden shafts of sunlight; the water, tossing quicksilver. Like crisp white cat’s ears, the sails pop up, and the near-empty harbor dances to life. This was the scene on Gloucester Harbor on October 30, the last day of sailing for 2014. Sail GHS will be back on the water in the middle of March. In 2008, Patti Page introduced scholastic sailing to our city. With a harbor as beautiful as ours, she envisioned a high school sailing team as a shining asset for this historic port. With three donated C420 sailboats, and the quiet authority and guidance of Dr. Damon Cummings, she began to build a racing team. Page engaged Guy Fiero, a canny, creative instructor, with many years of experience, as the coach. Scouring the environs of Cape Ann, she banded together a crew of intrepid high school -aged sailors who took their place as the new sailing team, Sail GHS, in the Mass Bay League racing organization. 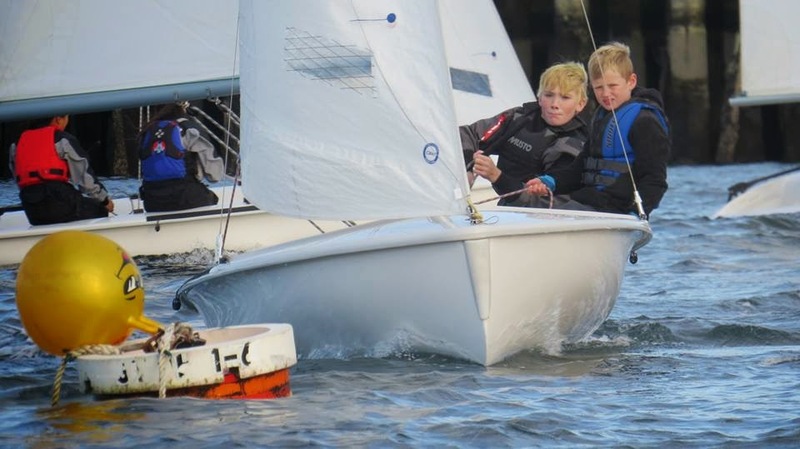 The competitive season for scholastic sailing is early spring, when conditions are cold, stormy and unpredictable. Sailing is arduous at best. Page spent many an afternoon with icy winds, stinging rains, and waves breaking over the bow of her 13 foot whaler, tending her skittering flock. By diligent fund-raising, chasing grants and soliciting donations, she equipped her team with life vests, dry suits, chase boats, insurance, league fees, and a coach, with no cost to its young members. The Dusky foundation, ever- generous with its community enrichment efforts, endorsed the conspicuous success of the program by donating, (in conjunction with Brown’s Yacht Yard,) six brand new C420s and a fully equipped chase boat. In 2012, Page motivated the city to appropriate funds to replace its derelict floats at the head of the harbor with a new state-of-the-art system. The Sail GHS racing fleet now shares the floats with the Cape Ann YMCA summer program. With persistent nurture, Patti Page’s one-time wish was emerging as a winged reality. Page considers Sail GHS to be the foot in the door that keeps the gate from being slammed shut on public access to our harbor. She believes that the harbor is a resource to be enjoyed by all. Many coastal cities and towns around the country are vigorously embracing Community Boating Centers as prosperous enterprises that invigorate their waterfronts. 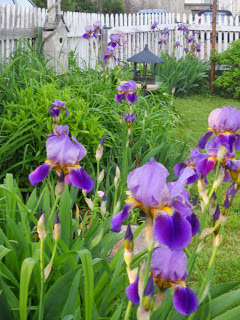 Patti is an active proponent for just such a center, here in Gloucester. In light of what she has accomplished with discarded or donated gear, imagine what she could make happen given actual support from the city. 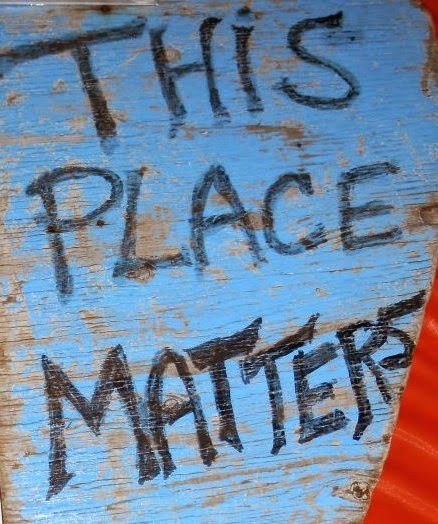 Give her a chance, and she just might find a way for the city to enhance the existing harbormaster’s building as a public shore-side facility. Ward Councilors would like to hear your thoughts about programs such as Sail GHS. 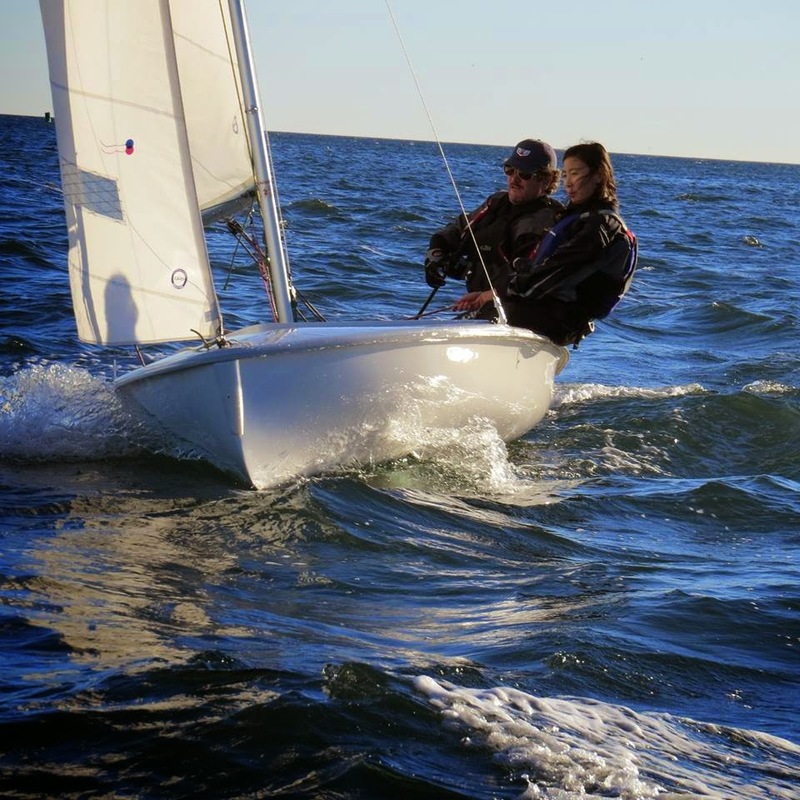 Sail GHS is a competitive high school sailing program which is open to the youth of Cape Ann and beyond. Contact info: sailghs@yahoo.com Look for Sail GHS on facebook. Things are changing rapidly around here. I am leaving home; I am leaving the Fort. As I wait for Ann to come pick me up, I stand in the front yard and drink it all in. It’s about 5:30; she’ll be here in a few minutes. I anticipate a fun evening with her, an escape from the sadness that has entered my life. It’s about an hour away from sunset, still warm from a beautiful October day full of sunshine. The asters blooming in my garden are full of activity with hundreds of bees lazily going about their business. If you get close you can hear them, happy in their labors in the warmth of the sun. Out on the breakwater, the waves make their way over it. I’m surprised by this. I know the tide is way up but there hasn’t been a storm. I guess it’s just a natural swell sending the water up and over. Lucky me- it’s so pretty to watch. I’m surprised how quiet it is- almost as though it were planned just for me, giving me that private kind of moment to appreciate my love for this place. Something just jumped and slapped the water. Must have been a good-sized fish to make such a loud noise, breaking up the tranquility, or adding to it. It causes me to look out over the harbor more thoroughly. Perhaps I’ll see more. What I do see is about thirty Snow Egrets coming in for the night to land in the tress of Ten Pound – a familiar sight I’ve been watching for years. Soon they’ll be gone for the winter. I will miss them. I’m so surprised to see only one boat coming in, in a body of water so vast. Again I think selfishly, it is because it is “my moment,” a much-needed moment. As the boat comes past the red nun buoy, the sounds of stays hitting the masts of sailboats moored between Rocky Neck and Ten Pound catches my ears and focuses my attention in that direction. Must be about thirty sailboats over there. Funny how some sounds are so distinct to an area. I look back to see if the boat will pass by me heading in, but it’s just off the corner by the playground. There are seagulls bobbing behind it. I see now that it’s my friend Vito baiting traps. No wonder the gulls are following him. There’s a lobster trap balanced on the stern of his boat which is “side to” to me now. A brave gull lands on top of the trap. I am totally amazed that his wing span exceeds it. Vito’s standing not three feet away from him, probably grabbing a bait bag. I think to myself, “That gull, if stood on edge, one wing tip to the sky, the other to the ground, would be about as tall as Vito.” Do I get my camera out? No, this will be one for my mind’s eye. Those special pictures you keep with you and revisit any time you want. And here comes Ann. I’m so glad to have something to tell her over dinner. It was such a short while waiting for her, but so completely full. She’ll “get it” too. I love that my friends understand how I love to see and share it. As we drive around the Fort, she tells me how it’s her first time seeing the ruins of where the Birdseye stood. Yes, things are changing rapidly around here. 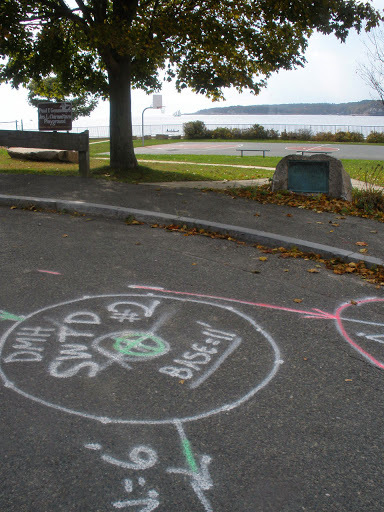 The writing is on the street- the graffiti of the Dig Safe markings for what is to come.